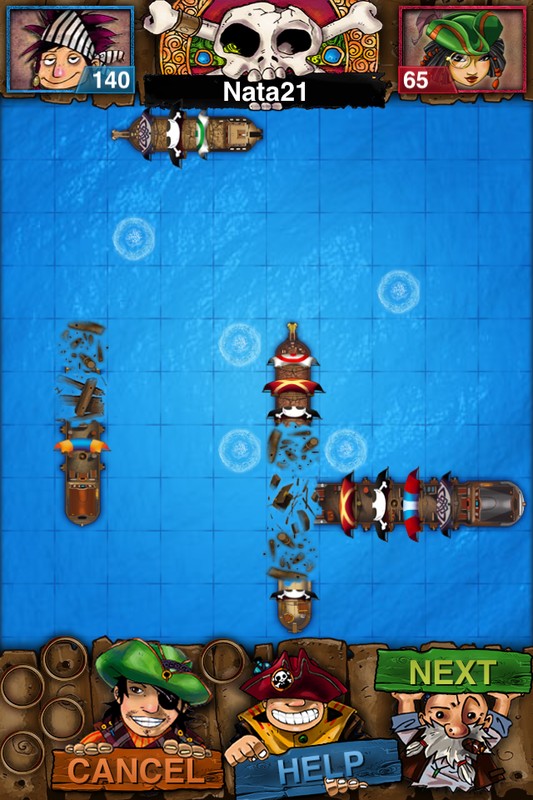 Home Application Games PirateFleet for Friends!!!!! It’s fun to blast ships to the bottom of the ocean, but being able to do it with friends is exactly the niche that United Toy tries to fill with their new game PirateFleet for Friends! The game with wonderful graphics and sound enable you to have delightful gaming experience with your friends! You can play against friends, invite them to download the free game, or if you have no friends available you can play against a randomly-selected opponent (provided they accept your invitation to battle). The game has a new chat feature added enabling you to have a word with a friend while playing! The points are earned for hitting ships, sinking ships, and for reacting quickly and not making your opponent wait for you to take a turn. Points are lost for firing cannon into the water. You get five cannon shots initially, and lose cannon for every two ships in your fleet that are sent to the bottom. Push notifications pop up and a numbered badge sprouts on the game icon when it’s your turn in one of your games. You can have unlimited games in the premium version, or up to three at once in the free version. * Simple an' addictive, like the kid's game! * It's online, so you can play with people who sail seas all over the world! * For those slower pirates, fear not; it be turn based! * It's easy to invite all your mates to fight with you! * Compare your scores with your mates! * Fancy push notifications to tell you when it be your turn to fire! One of the best things about the game is the overall experience. Another best thing is the sweepstakes which is going on through July 18th and provides players a chance at winning a weekend in Las Vegas at Treasure Island!!! To download the app from Apple App Store click here .